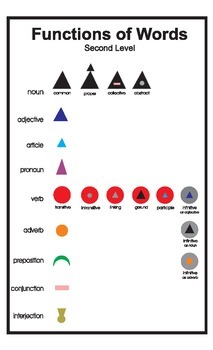 8 1/2 x 14 Montessori grammar symbol poster. Print on card stock and laminate. Purchase the Grammar Symbol Vocabulary Cards to go with this.